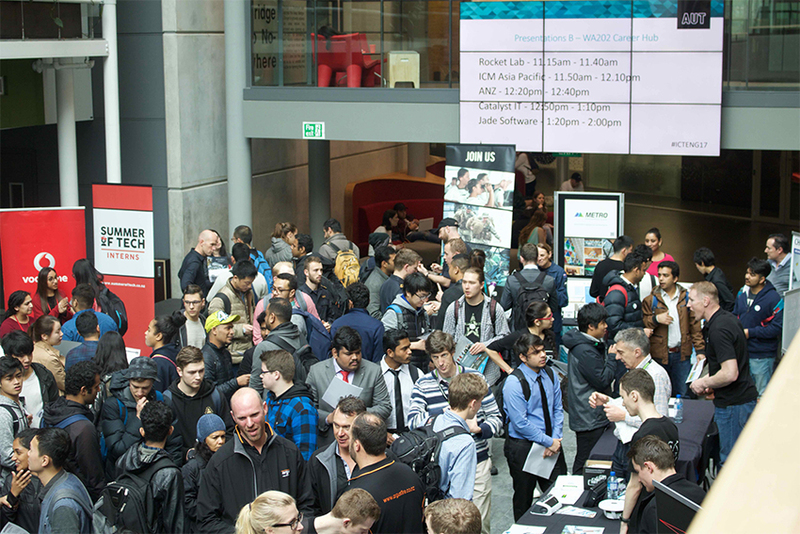 AUT welcomes employers to get involved in industry events across the year. It’s free to register for AUT’s industry events, which include career fairs, speaker series graduate presentations and our flagship event Employability Matters. Offered each semester, this week-long event series brings industry onto campus for presentations, workshops and panel discussions. The series attracts thousands of students looking for graduate roles, internships and voluntary positions. Being an exhibitor at one of our many career fairs. As an exhibitor or booth holder at a career fair, you can meet and observe hundreds of potential employees at one time. This is an excellent way for you as an employer to tap into student talent. 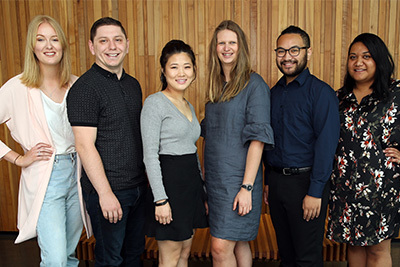 This is an innovative way for not-for-profits to raise awareness of their organisations on campus and encourages students to find volunteering roles. 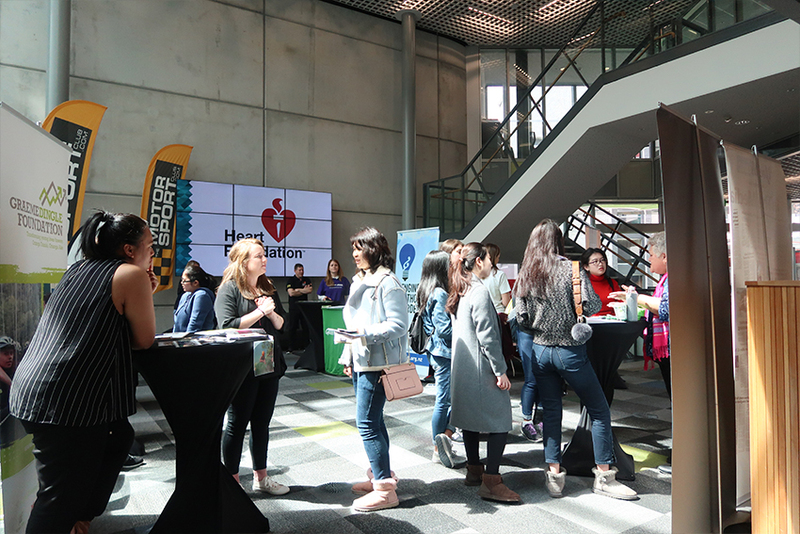 Our 2018 Volunteering Expo attracted more employers than the inaugural expo in 2017 with 22 organisations attending, including Engineering without Borders, StarJam, St John, Child Cancer Foundation, EcoMatters and the Surf Life Saving Northern Region.